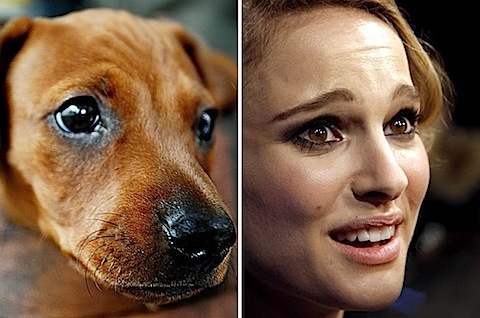 Fun Stuff: Natalie Portman’s long lost twin? Unlike many people, I actually really like actress Natalie Portman (The Other Boleyn Girl), as you can see from our What We Like page, but come on, one must admit this is damn hilarious and surprisingly spot on. The picture was found on the Inetfilter blog. This entry was posted in Celebrities, Fun Stuff and tagged Natalie Portman, The Other Boleyn Girl by Mr Hollywood. Bookmark the permalink.